My conversion to Android began a little less than two months ago when my iPhone 2G had the top half of it’s screen suddenly stop responding to touch. I’d been an iPhone user for quite some time. Before the iPhone I was using the T-Mobile Shadow. Non-touchscreen but very easy to use one-handed. Based on Windows Mobile Standard with a very nice interface added to make the phone easy to use. The reality was that I knew I was out-of-date in my mobile phone and it was kind of embarrassing since I ran a gadget site! I was looking to make a change. Nonetheless, I was a late conversion to the Church of iPhone and might not have even seriously tried it had I not had the chance to get it for basically next-to-nothing. 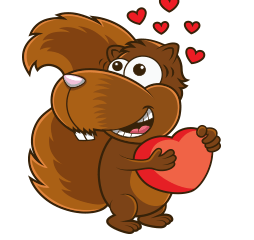 The 2G model was a good choice as my mobile carrier is T-Mobile as we love their family plan rates and features. At the time I got the phone T-Mobile still didn’t have 3G in my area and the 2G didn’t offer it anyway. A good match. Of course I jail-broke the iPhone to use it on T-Mobile and was a happy purchaser of many apps. I even paid many shareware fees and donations to the regular app developers and to the jailbreak community. I modded my iPhone heavily and then took it back down to only a very few modest enhancements that I really liked. I mention all this to make it clear I had a very thorough iPhone experience and that I really enjoyed it. I spent almost two years with the iPhone in all and it was my sole primary phone during that time. My only gripes almost all dealt with the artificial limitations Apple placed on the iPhone. A deliberately reduced-feature Bluetooth stack was originally my biggest gripe, but then when iPhone 3.0 came out and several features (notably Voice Control and a better Bluetooth stack) were withheld arbitrarily, I was able to add a few more gripes. They all amounted to the same thing. Apple restricted how its customers could use the products they bought. I was still happy enough and gobbled up all Apple/iPhone news daily. 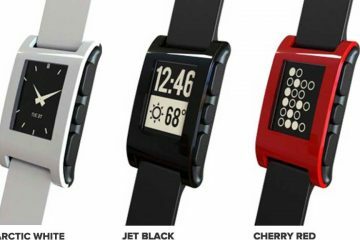 Since I keep track of several news feeds from all gadget areas I was aware of Palm’s WebOS (still a huge fan but the hardware just wasn’t a fit for me) and Android. I’d reviewed Android devices before and wasn’t a convert. I thought the lack of control on quality in the App Market there was telling and that the interface itself looked like a mishmash of styles. So I ignored Android — at least until my iPhone basically died. When the top half of my iPhone’s screen went dead to touch it was pretty much dead period. You really can’t use it without touch working everything – naturally. Repairs were more expensive than buying another iPhone 2G on the cheap. Heck, I could even get an iPhone 3G on the cheap for about the cost of repairing my iPhone. So I realized I was going to have to change platforms again. Since my next favorite, WebOS, wasn’t on T-Mobile it was going to have to be Android. 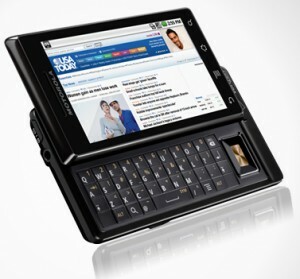 T-Mobile had been the launch partner with Google for the first Android phone, the T-Mobile G1. It had a unique design and a real keyboard. Well, with iPhone I had adapted to a soft keyboard on a touch screen. Besides the only G1 I had was the first model and it had seen better days. The myTouch 3G was available but I didn’t have one yet. I did have the advantage of having a Verizon Droid Eris and a Sprint Hero handy though. So I started some trial runs with those, and forwarded my T-Mobile number to one of those and the other as I tried them out. I found I liked them. Android, even at 1.6, had matured a great deal more than I had expected. It’s App Market was pretty well stocked with apps and the quality apps had risen to the top. Sure you could find crappy apps in the App Market but that was true of the iPhone App store too. I’m sure the WebOS has lots of poor apps as well. I drifted towards using the Droid Eris a bit more while trying out the different devices…really, other than case styling and the HTC Sense interface, the Eris and Hero were pretty much the same device. 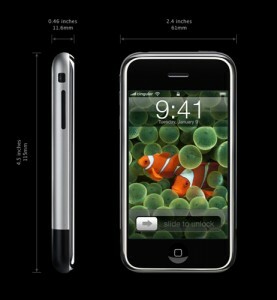 They were snappy, responsive, and did quite a few things (like multitasking) that the iPhone couldn’t do at all. 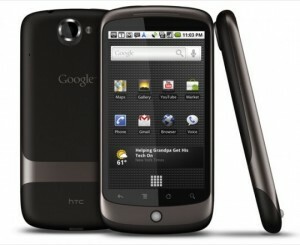 Just when I thought I was ready to go and buy myself a myTouch 3G – Google announced the Nexus One – launching with T-Mobile! I started feeling some tentative excitement about moving to Android now. I’d followed the release of the Motorola Droid but wasn’t sold on it. 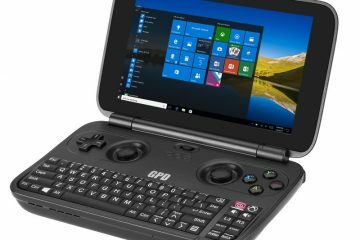 The hardware wasn’t to my liking…with a big slide out keyboard, I wasn’t sure I’d like that as I hadn’t liked that form factor in the past. I did like the looks of Android 2.0… but now that Google was releasing the Nexus One they also showed it running Android 2.1 and it was bigger than the usual .1 upgrade. With more than a little luck and some professional reviewer-style begging I got a Nexus One. (Thanks Google!) and it was definitely worth the effort and the wait. I’d cover the Nexus One in more detail but that’s been done everywhere. Suffice to say that I’ve had zero problems with the hardware design. I know there are documented issues with the multi-touch but it simply doesn’t come up in normal usage at all. It’s got a very nice touch screen, vivid colors that even jump out in full daylight. My two minor gripes are that the proximity sensor can fail if sunlight is hitting the screen (and your ear can start dialing as a result) and sometimes the soft buttons at the bottom don’t respond on the first touch. Meh. No big deal. What I am going to tell you about is Android. To be specific Android version 2.1. It’s what I’ve been using now for over a month and it’s what currently best represents the state of the art in Android powered platforms. When I moved to Android I assumed I’d give up a lot of the apps that I’d grown accustomed to on the iPhone and wondered how I’d compensate for all the differences. Well, I was wrong. Almost every app I used on the iPhone was either already on Android or some third party had their version. But in most cases, it was the same app. For example, Flixsters Movie app is on both iPhone and Android. Same app. USA Today, BBC News, eBay, Craigslist, and the list just goes on and on. I mean it really does. My observation is that it would appear that very few major content providers committed solely to the iPhone. They covered themselves and at least did an Android version as well and some did WebOS (but that’s for another article). I’ve seen more content providers, such as the New York Times, bring their apps over to Android recently as well. This is what I expect is going to be a continuing trend as more and more Android-based phones are available across all carriers and markets. I also used a lot of apps that were strictly freeware/ad-ware level. Apps that stored your loyalty cards (with bar codes) for scanning. Apps to read my RSS feeds (ala’ Google Reader), eBook readers, grocery list keepers, Dropbox, Google Voice managers, and even little administrative utilities. Again, I didn’t have to compromise here. In fact, similar apps on Android were often better. NewsRob (my RSS Reader) automatically sync’ed with my Google Reader account so I could read on-the-go or in my browser at home without re-reading the same articles like I would often do on the iPhone since my reader there didn’t sync to my Google Reader account. HandyCards beat Cardstar as having more complete support for a larger variety of stores and offered the barcode in a larger display and resolution. While we’re talking about barcodes it’s worth noting that Barcode Scanner is a free app on Android that can be used pretty much on all Android phones to scan barcodes using the camera and Google Shopper allows you to take a scanned barcode and research the item and pricing on the Internet as well. In fact HandyCards uses Barcode Scanner to input loyalty cards as well. This is where the power of real multitasking on Android started to show it’s versatility. Apps could communicate with each other and build on each other. A simple, free, barcode scanning app becomes a much more powerful tool when integrated into a variety of apps that give the codes real-world relevance. The apps using it gain a standardized scanning tool and the user benefits all over the place. As the editor of a gadget-reviews site I’ve had the enviable position of being able to try a large number of phones. When I started my journey here I was using the Verizon Droid Eris which has quietly been retired, or at least de facto replaced, by the Version Droid Incredible. Which as their advertisements obliquely state – is actually incredible. Comes with a large screen, no hardware keyboard, but gigs of memory onboard and all the usual expansion. It’s quite fast overall. However the original Motorola Droid, with a slower processor but very fast graphics processor, seems every bit as fast and it does have a hardware keyboard. 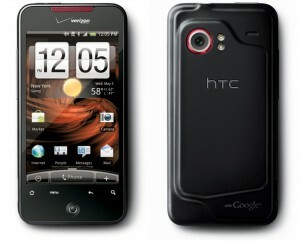 HTC also has a large 4 inch screen phone called the EVO 4G that Sprint is carrying and T-Mobile looks to be soon carrying the Samsung Galaxy S — boasting a large screen and the most advanced display technology yet – AMOLED, but I won’t go into that here. There are naturally quite a lot of phones using the Android OS. After all, it’s free and very powerful. This is one of the great strengths of Android and shows the weakness of iPhone. 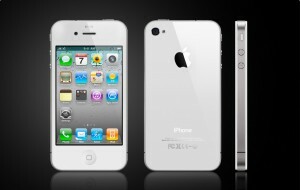 With iPhone you must wait on Apple to decide to advance the platform. 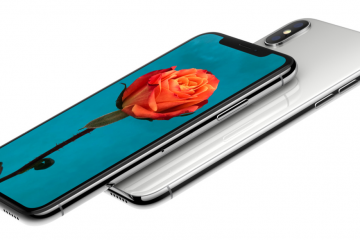 Their latest, the iPhone 4, is catching up in a number of areas based on their announcements and they’re still more focused on long battery life than any other phone designer. However there’s simply no real choice. Aside from higher resolution graphics and this and that it’s still the same design. Glass front, ear slit, microphone hole, volume, hush switch, on/off, etc. The only big change is metal back on 1st gen, plastic back on 2nd and 3rd gen, and now a glass/ceramic back on the 4th gen.
Android phones come in an huge assortment of styles and features. Fixed keyboards, no keyboards, and sliding keyboards. Small screens under 3 inches or huge 5 inch screens. There are even 7 inch screens on tablets coming out soon that are really full phones. Anything a manufacturer or cellular carrier wants – they can get and will sell to you. So you can find what you want. here are many things that I’m finding Android does just far-far better than iPhone. Obvious things like multi-tasking (which iPhone will sort-of get with it’s upcoming task switcher in iPhone 4.0 …and if you don’t think that’s a task switcher, I’ve got a bridge in Manhattan to sell you… ) but other things like notifications, universal voice input for all apps, better voice control, much better mobile email, widgets, a more open app market… well, I really could go on for quite a bit. The final thing I will point out is speed. I never really realized how SLOW the iPhone is until I used Android. 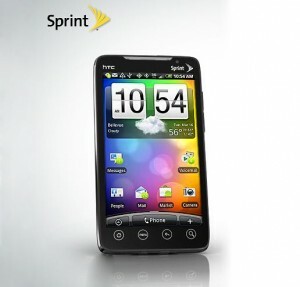 Even comparing a 3GS against a Sprint Hero I feel like the Android device is faster. The main issue is how long it takes for apps on the Apple to launch. I can’t tell you why they take a second or two to launch, they just do. You’ll notice that nearly all iPhone apps either feature a Splash screen to intro the app or a snapshot of the app that holds onscreen until you can start using it. On Android far fewer apps bother with Splash screens because the apps start almost the second you touch their icons. It’s just a world of difference and a welcome change. I will say that it’s good though that we have all of these platforms. iPhone, Android and WebOS make for very strong competitors to each other and so long as no-one platform tries to simply bully the others (Apple, I’m looking at you and those ridiculous patent-trolling lawsuits) and everyone competes on real innovation we’re all going to win. I think Apple needs to learn from Android. Jailbreak apps have proven that the iPhone can do real multitasking… it’s sort of ridiculous that Apple is only willing to offer a half-baked task switching. Apple could have also offered the universal voice input and should. 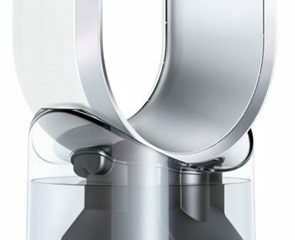 Android, for it’s part, should learn from Apple and clean up a few areas of it’s design. Android’s come a long way from it’s first release but it still has a few rough edges. In the end, I not only survived leaving the iPhone, I’ve been happier for it. Yet… what if I’m just fickle? 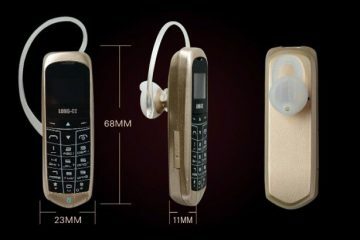 Long-CZ J8 is an ultra small phone – no buts about it!